We offer several categories of rooms from efficiencies with kitchenetts, Efficiencies with full kitchens and a deluxe one bed suite. 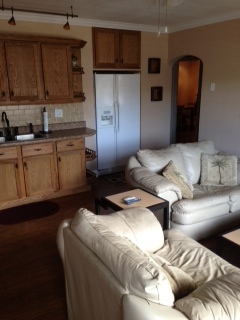 We even have an RV spot with full 30 amp hookup to take up to a 30ft trailer/Motorhome. We proudly welcome all new comers and tourists to the area and invite you to stop by and enjoy our hospitality. 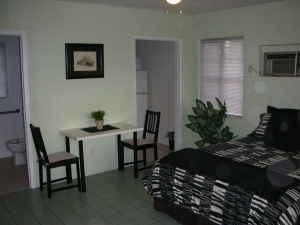 We offer standard rooms, efficiencies and apartments available nightly or weekly. Our staff will take great care of you while you stay with us, whether on vacation with your family or traveling on business. 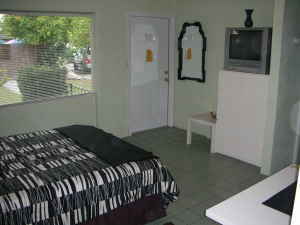 We have several different sizes and layouts for our rooms. 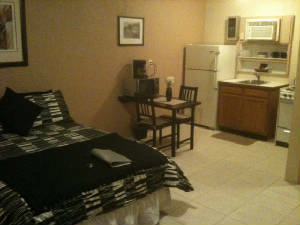 All standard rooms have Remote TVs, Microwave, Refrigerator, Queen bed, in room coffee maker and free Wifi. 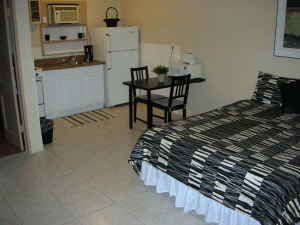 Our Delux rooms have all the above plus gas stoves. 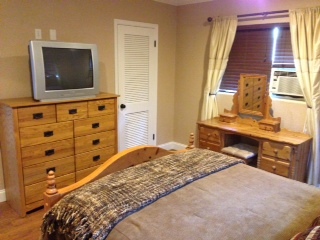 The delux one bedroom suite has a full oak kitchen, Two large sreen TVs, one in the lounge and one in the bedroom. 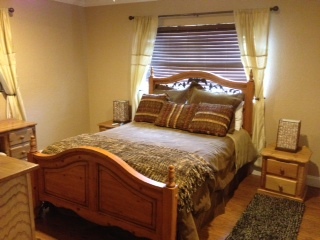 Wood flooring throughout and exquisitely decorated with a small fenced yard area. Kitchen area in one bedroom suite.